Alex Iwobi was once again a shining light and a torn in the flesh of defenders as he helped Arsenal FC beat Basel two goals to nothing. He was taken off in the 70 minute as Mohamed Elneny came on in his place. Kelechi Iheanacho was once again on the bench as his team Manchester City had to come three times from behind to play out an exciting three all draw with home side Celtic FC. He was not seen as good enough when the team needed goals and was left frustrated on the bench all through the match. Vice-captain of the Eagles, Ahmed Musa was on the bench for the better part of his team Leicester City's game against Porto. The pacy winger finally got a run in, in the 90 minute when Jamie Vardy was taken off. The game ended Leicester City one Porto nil. 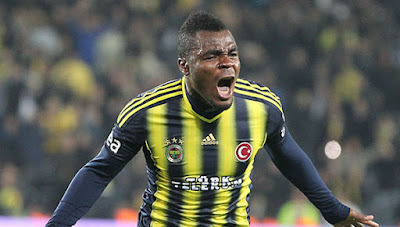 Former Super Eagles forward, Emmanuel Emenike, scored the only goal as Fenerbahce playing at home pipped Feyenoord 1-0. Emenike scored in the 18th minute to secure the win for Fenerbahce. Super Eagles forward Brown Ideye was in action for Olympiacos who were shocked 1-0 at home by Apoel Nicosia. Ideye was on for 90 minutes but was unable to save his side from losing. Nigeria midfielder Nosa Igiebor featured for Maccabi TelAviv who lost 1-0 to Dundalk, in a boring encounter. Igiebor was replaced by Dor Micha in the 59th minute. Fred Friday and his team AZ Alkmaar were given a footballing lesson by Zenith St Petersburg who thrashed them 5 nil. Friday was on for the full games but was left disappointed by his team's display. 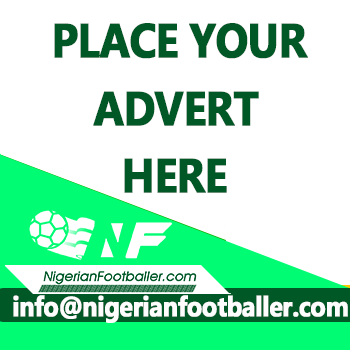 Olanrewaju Kayode, started the game but was substituted in the 85th minut as Austria Wien were held 0-0 at home by Viktoria Plzen. Wilfred Ndidi continues to be inspiring as he made a 90 minute appearance for Genk in their 3-1 home win against Sassuolo.